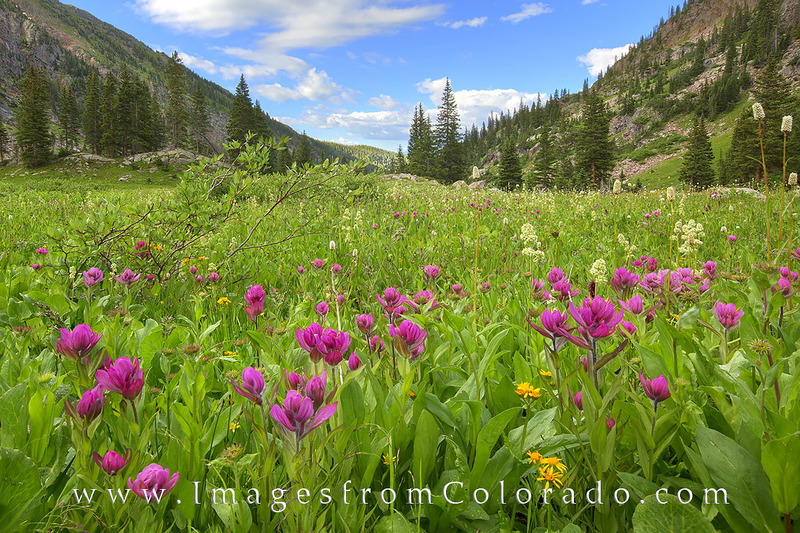 Pink Paintbrush, some of Colorado's most beautiful wildflowers, fill a valley on a summer afternoon near Vail, Colorado. These blooms were found on the hike to Booth Lake in the Eagles Nest Wilderness area. Nearby were Columbine, Colorado's state flower. Photo © copyright by Rob Greebon.